We know it can be frustrating searching for a life insurance policy with a history of COPD. Don’t fret, We can help! Can I Qualify for Life Insurance if I have COPD? Yes, most individuals with COPD will be able to qualify for traditional life insurance, the type of insurance which requires a medical exam. 1. How many years since you were diagnosed with COPD? Early diagnosis of COPD with less frequent symptom attacks may get the best rating at “Mild Substandard.” Chronic COPD, on the other hand, with more frequent symptoms of forceful breathing and cyanosis may qualify for a “Medium Substandard” or “Severe Substandard” rating. Smoking has been specifically associated with the incidence of developing COPD. So, the longer the number of years of smoking and the more pack years you have, the less chance you can get a good rating or worse you may get a decline because of your smoking. This is one of the most important questions that will establish your health class. If you have stopped smoking, an improved pulmonary function test will prove that. There will also be less symptoms of shortness of breath and labored breathing. If, however, you are still smoking right now, the best rating you may get is at “Severe Substandard” or worse you may get a decline for it. 4. How many times do you experience COPD symptoms in a period of one year? Compliance to medications may slow down the disease progression and lung damage. There may also be less frequent symptoms of labored breathing. These cases have a good chance of getting a “Mild Substandard” or “Medium Substandard” rating. Smoking is the most common trigger for COPD attacks, so if anyone is smoking in your office or household, it means symptoms may be frequent than usual. This may get you a “Severe Substandard” rating. 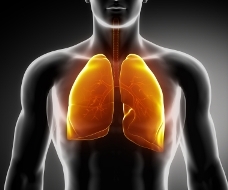 Recent laboratory and pulmonary function tests will be the best ways to assess the actual condition of your lungs. Chronic obstructive pulmonary disease (COPD) or chronic obstructive lung disease is a disease state that is characterized by persistent mild, moderate or severe airway obstruction. Most cases of COPD are irreversible in nature and prognosis is highly dependent with compliance and management. The triad symptoms of COPD include excessive sputum production, severe coughing and forceful breathing. Other COPD cases also present symptoms of bluish discoloration of the nail beds (cyanosis) due to lack of Oxygen.